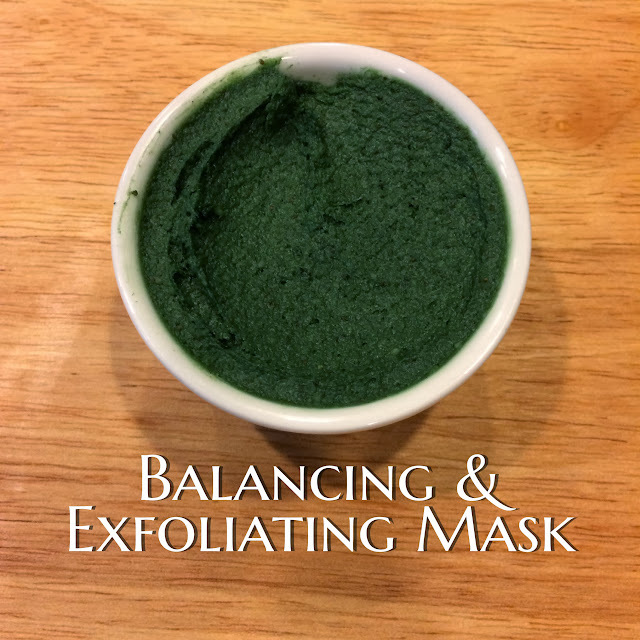 My recipe is based on a very popular face mask that is sold in a little black plastic pot at a very popular boutique in the mall that sells fresh face masks (Do you know which place I am talking about?). This is a wonderful and gentle exfoliating formula that breaks up impurities while helping wash away dead skin cells and other pore clogging yuck-ness. 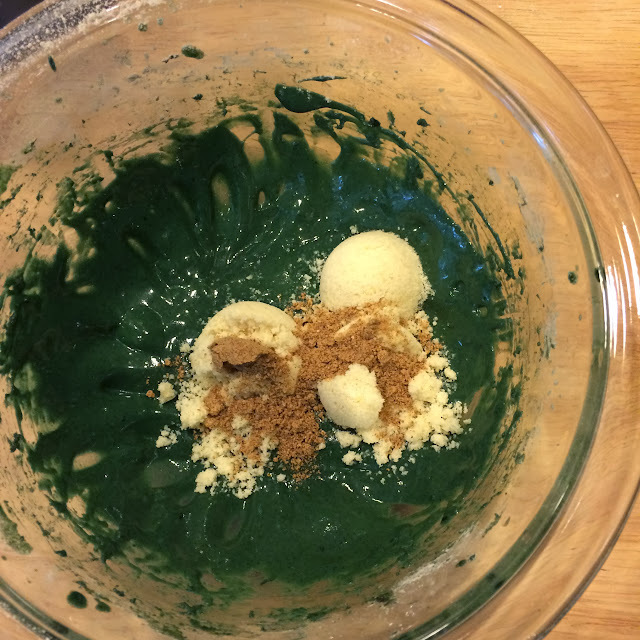 My formula contains chlorophyll, local honey, almond oil, two different types of clay, finely ground almonds and some scrub-a-licious ground apricot kernels. 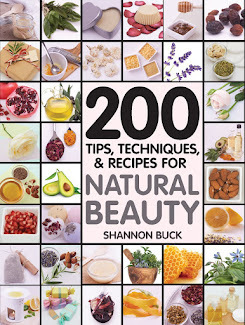 To top it off, it has some lavender essential oil to help balance oily skin and soothe any sensitive areas. I like to use a generous amount on clean dry skin to start off with. After massaging it over my face to exfoliate, I then mist a bit of warm water over my face to form a creamy paste and leave it on for 5 to 10 minutes. I then simply rinse it off with warm water. Avoid eye area!!! Store in the refrigerator and use within 2 weeks. You can find the glucomannan at the health food store. 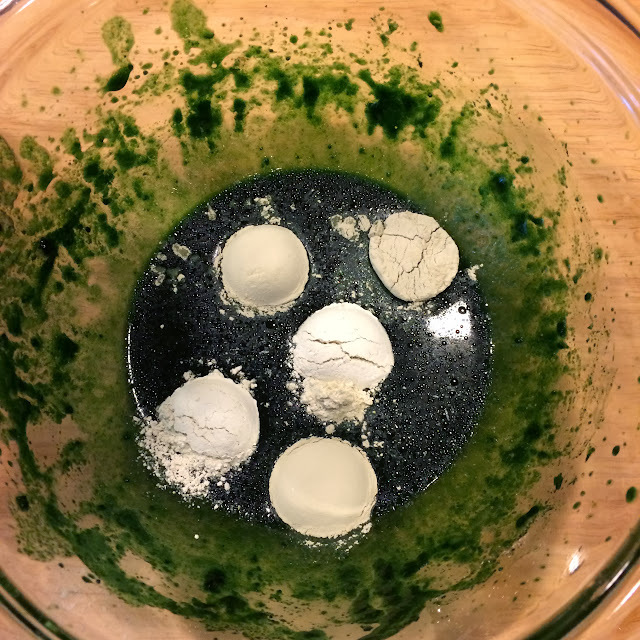 It helps thicken up the water and chlorophyll. 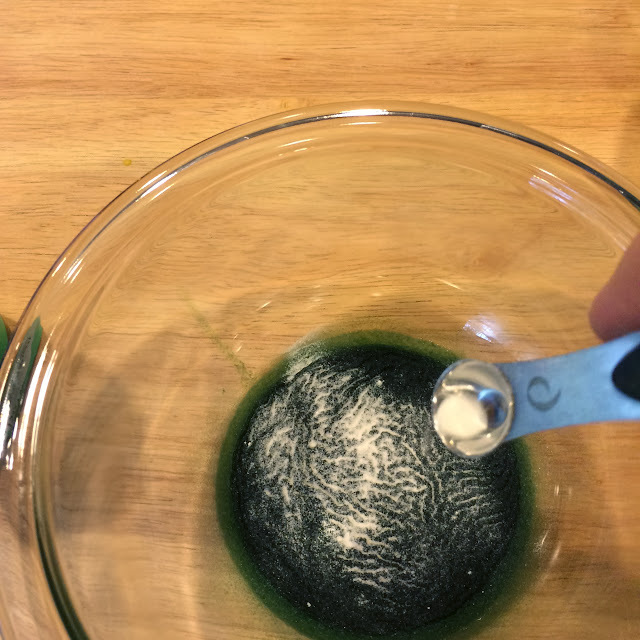 Measure out the water and chlorophyll into a small bowl. 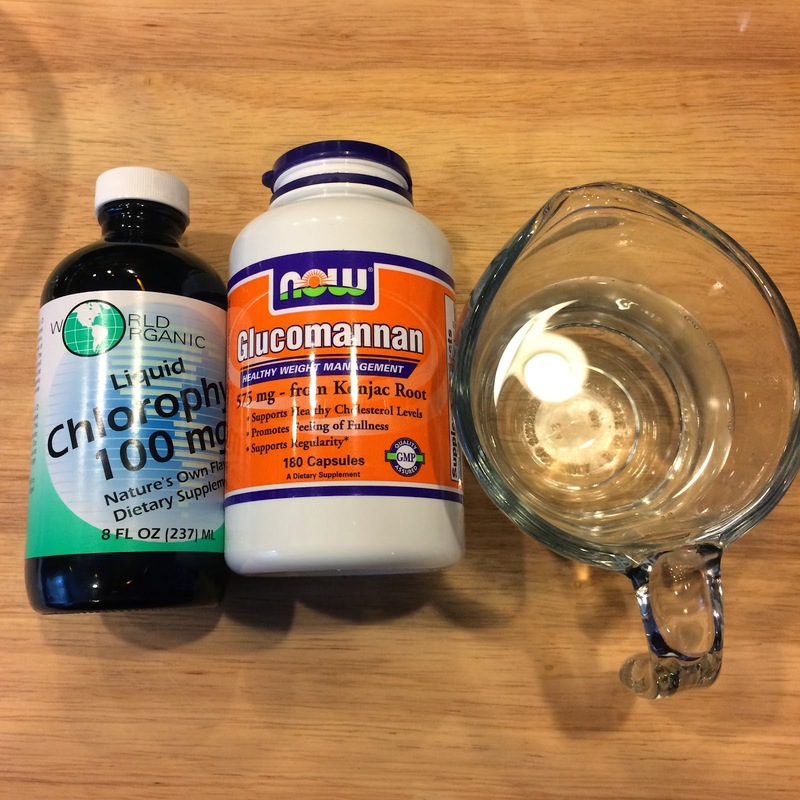 Sprinkle the glucomannan powder over the top of the liquids and allow to thicken up. 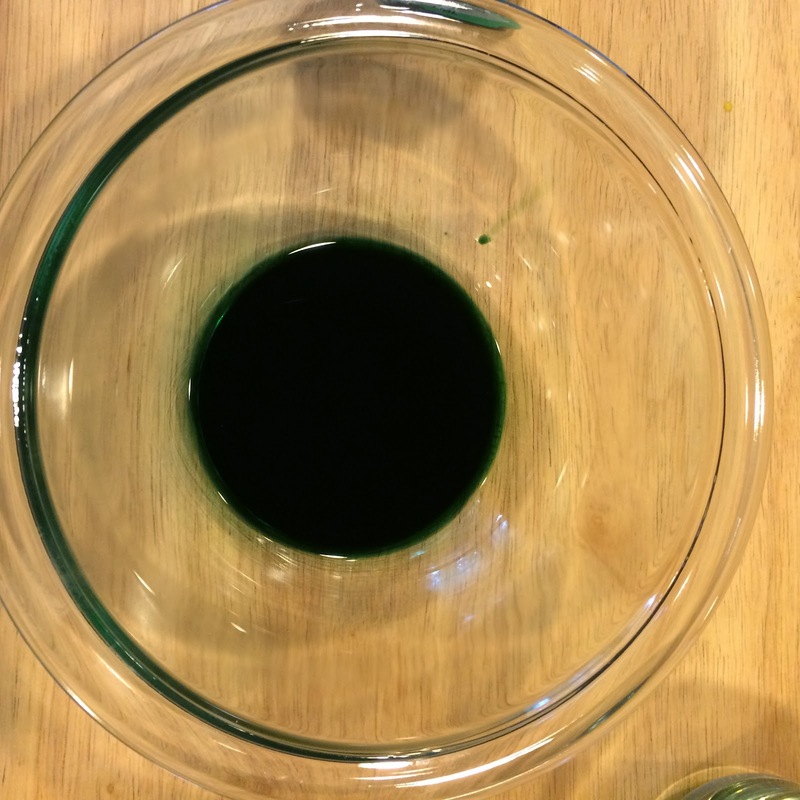 Whisk the honey and the almond oil into the chlorophyll mixture. You can get the clays at Mountain Rose Herbs. If you have sensitive skin, you may wish to use all Kaolin Clay. 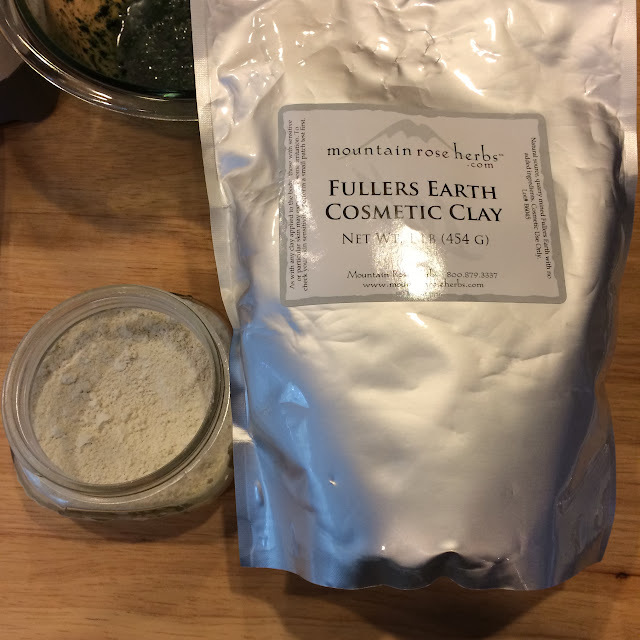 If you have super oily skin, you may wish to use all Fuller's Earth clay. 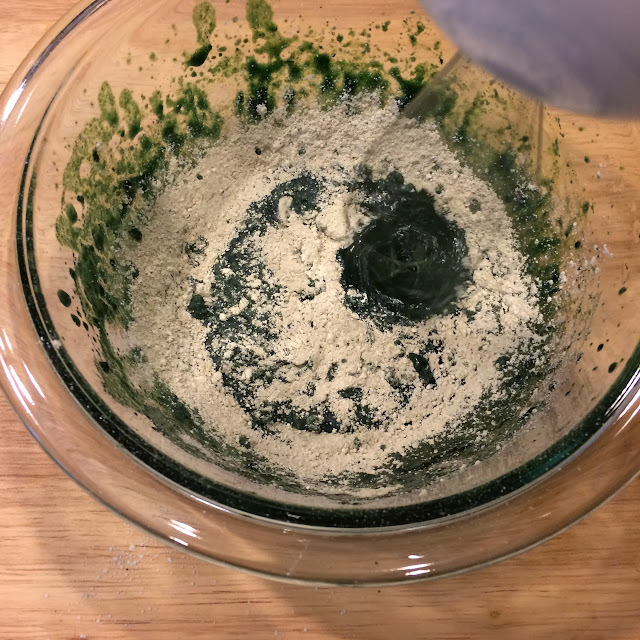 Whisk together on low speed until completely blended. 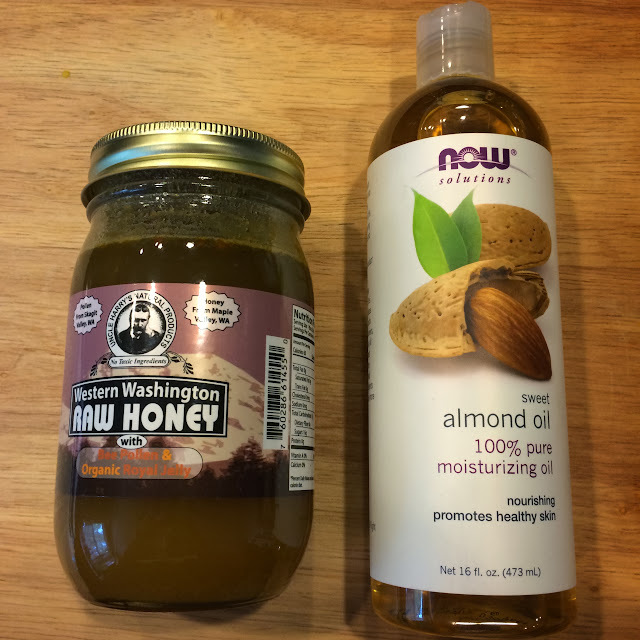 You can get the ground almonds at Whole Foods or PCC Natural Market. Ground apricot kernels can be purchased at Mountain Rose Herbs. 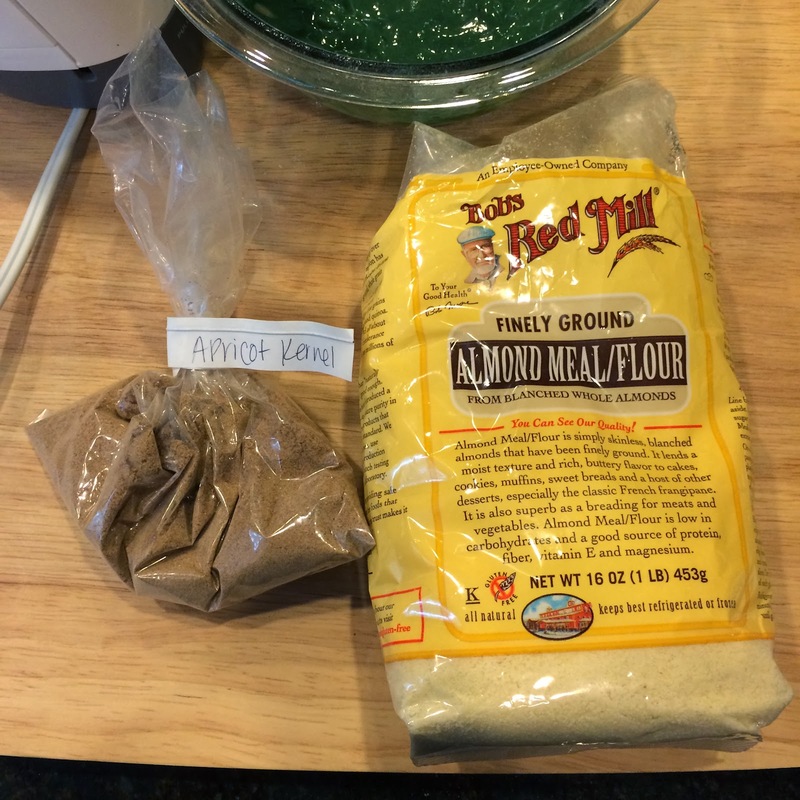 Blend in the ground almonds and apricot kernels. Mix in 30 drops of Lavender essential oil. 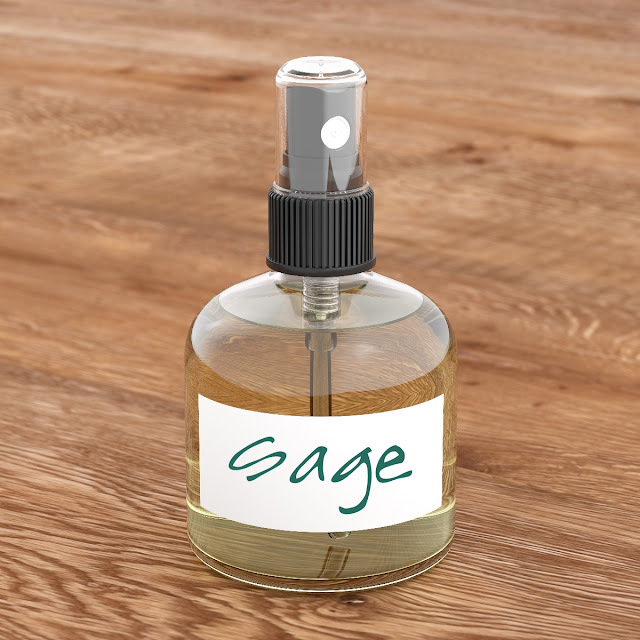 You can purchase Certified Organic Lavender Essential Oil from Mountain Rose Herbs. Click HERE!! And there you have it!! 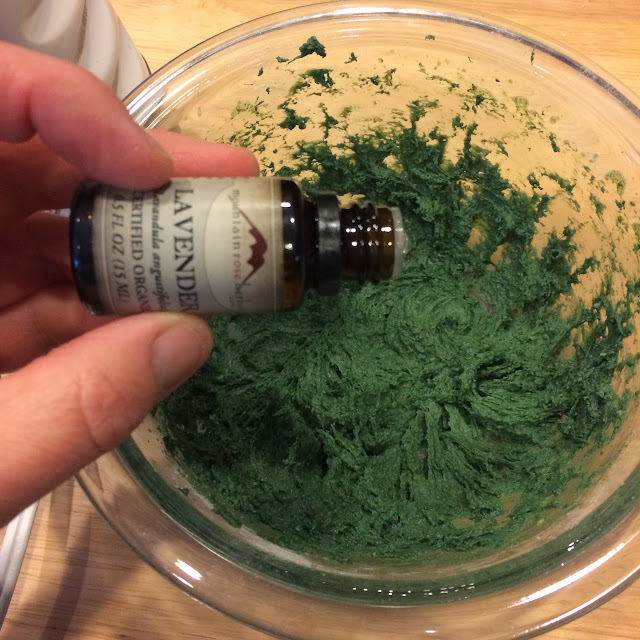 A beautiful and balancing exfoliating mask made right in your own kitchen!! Enjoy!! !